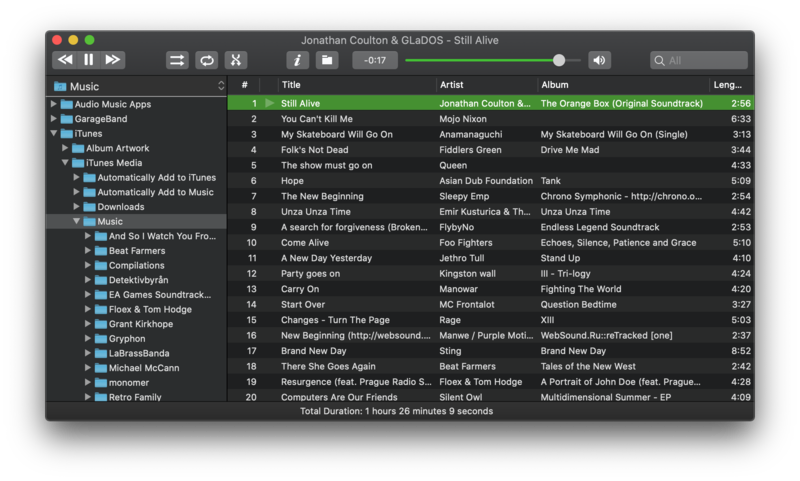 Cog is a great player for Mac OS X with nice features and a simple interface. Unfortunately, it hasn't been actively developed since 2010, and while last released version seems to be working fine, it does have a few bugs and it lacks some features (like Lion's full screen mode, for example). This is an attempt to revive Cog, source code with my patches can be found on bitbucket. Warning: this is work in progress, some stuff might not work or crash badly and i'm not to be held responsible for any consequences, though i use it daily and it's fine so far. In case you use it and something doesn't work for you or if you have an idea for improvement - feel free to post them to issue tracker on Bitbucket (registration isn't required to post issues there). You can also drop me a line.